C&IT has teamed up with Barnsley House and Calcot Manor & Spa to offer one lucky reader and a guest a two-night break with breakfast. The 35-room Calcot Manor & Spa, set in a former manor house on a 220-acre estate in Gloucestershire, has the Conservatory Restaurant and Champagne Bar, the Gumstool Inn and the Calcot Spa. 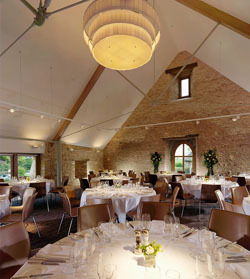 For events, The Barn at Calcot includes the Thomas Suite, which has capacity for 120 people. Sister property, the Grade II-listed Barnsley House dates back to 1697 and has 18 rooms, four acres of formal gardens, a spa, and the 60-seat Potager restaurant. For events, there is also a 30-seat cinema and a meeting room for 30. The prize includes a one-night stay at each property for the winner plus a guest. 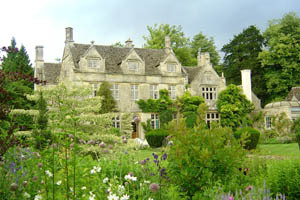 To enter, please send your answer to the following question to citcomp@haymarket.com by 20 May 2012: What is the name of Barnsley House’s restaurant? The prize includes a two-night stay in a double room (based on two people sharing) to include breakfast and use of each hotel’s spa facilities, with one night at Calcot Manor and the other at Barnsley House, to be redeemed over the same weekend. The offer is subject to availability and excludes all public holidays and the prize is valid until October 2012.